Established in the year 2013, at Gurgaon (Haryana, India), we "Illustrious Technologies India Pvt. Ltd.", have established ourselves as the leading Manufacturer and Supplier of elegant and flawless LED Spot Light, LED Downlight, LED Tube Light, LED Industrial Light, LED Bulb, LED Bay Light, LED Panel Light, LED Cove Light, LED Street Light, LED Vertical Light, LED Flood Light, LED Ceiling Light and LED High Mast Light. Our offered lights are highly cherished to increase the decorum of the home as well as for lighting purpose in houses and several commercial buildings. At our modish and advanced manufacturing unit, our skilled professionals precisely design and manufacture these lights in compliance with predefined industry standards. 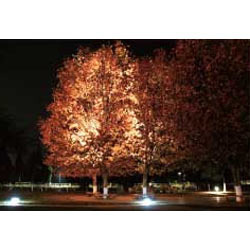 Furthermore, we also Trade and Supply a wide range of LED Garden Light, LED Bollard Light, LED Decorative Light, etc. Our offered lights are highly appreciated and acknowledged in the market for some of their striking features like glossy finish, elegant design, brightness, high illumination, easy installation and less power consumption. Apart from this, we are also engaged in providing reliable Consulting And Advisory Service and Energy Efficiency Service Our illustrious team of skilled professionals renders this service to make people and businesses aware of the way they use energy, identify areas where energy savings can be made by suggesting energy-efficient replacement products.